In this exhibition, through the medium of photography we are taken on a journey with photographers who use their cameras as tools of exploration and passports to inner sanctums. Both artists offer a glimpse into their inner worlds ... the interiors of home, place, relationships and thoughts. Photographer and poet Marlene Lillian Hawthorne's series of miniatures are based on her memories and utilizes psychological archetypal analysis to explore these memories. Each meticulously composed image is paired with a poem serving as its title giving the images added layers of complexity and insight. 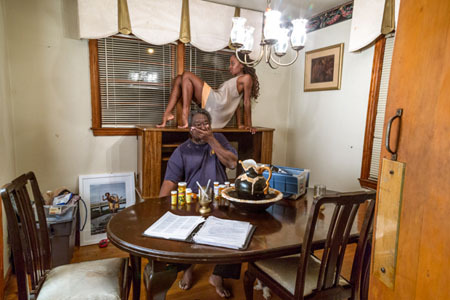 Dancer and photographer, Shoccara Marcus documents in a photo series her transition back to her Georgia childhood home from Brooklyn, New York, to aid in the care of her father after his cancer diagnoses. Both artists are graduates of Savannah College of Art & Design, both are represented by Arnika Dawkins Gallery and the work presented is from their thesis exhibition held at the gallery. Curated by Tracy Murrell. Marlene Hawthrone was born in Annapolis, Maryland and grew up between Colorado and the Washington D.C. area. She obtained her BS in Psychology from Howard University and is working toward her MFA from Savannah College of Art and Design, Atlanta. Her photojournalistic style was honed as photographer and editor at the Hilltop Newspaper in Washington DC. She was also the primary photographer for the National Council of La Raza, where she documented its work towards civil rights and advocacy for Latinos in the United States. Shoccara S. Marcus holds a Master of Fine Arts degree for photography from Savannah College of Art and Design (Atlanta). Her work has been seen nationally and internationally including China Jinan International Photography Biennial, Exposition des étudiants in France, Shoccara’s fine art photography focuses on the investigation of life experiences that surrounds. 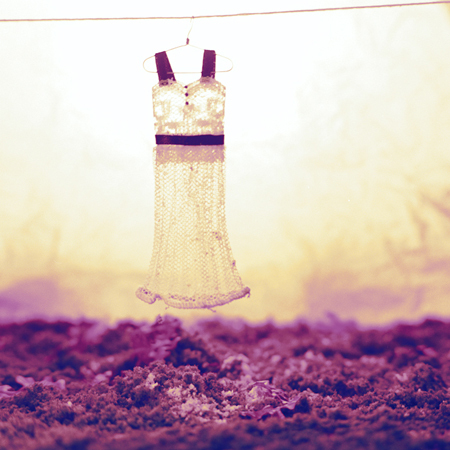 Choreographing My Past is project about the complexity of family dynamics. After living on my own for over a decade, I returned to live in my childhood home only to discover a family that remembers the girl I once was, but refuses to accept the woman I’ve become. This experience forced me to revisit my past and reevaluate my role within my family. The images in this series reflect feelings of both metaphoric and literal isolation. Although I occupy this space physically, I experience a sense of detachment and alienation. I literally climb, crawl and step through different rooms to mentally escape and maintain my sanity. In the end, I accept the struggle, to find love and acceptance in this space with my extended family.